The Bruins are teetering precariously on the edge of the abyss…and they are threathening to take me with them. Saturday, they lost to the Capitals. Yesterday, they got violated by the Penguins. 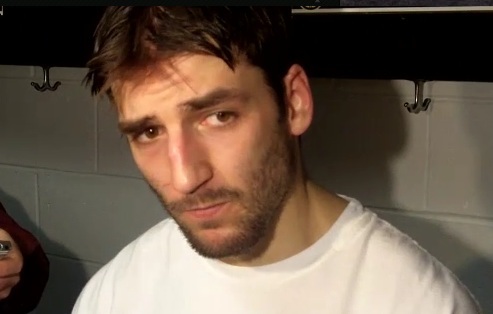 Patrice Bergeron and Adam McQuaid both got injured. With Nathan Horton, Rich Peverley, Beniot Pouliot, and Tuukka Rask already out, it only to the dire situation the Black and Gold find themselves in late in the season. Can I get a prayer circle? Never have I seen a sadder face. Never. McQuaid took a hard hit from James Neal in the 1st and did not return for rest of the game. Bergeron took a shot off the leg and labored badly to try to battle through, but did not return. Obviously, goaltending is a SERIOUS issue for the Bruins. Serio, people. I knew losing Tuukka would be tough but I had not fully realize it until this weekend. And when I did, this was me. Luckily I managed to pull myself together and attempted to analyze this mess of a situation the Bruins are in. In an ideal world, Tukkaa would have played Saturday’s matinee versus the Caps, allowing Thomas to rest up for the game against the Pens. But with Rask recovering from a groin injury, the Bruins were up Crap Creek without a paddle. Hell, they didn’t even have a boat. Then you add in the clocks springing forward for daylight savings, and you have a recipe for a grade A+, #1 disaster of epic proportion. Yesterday’s game was that unmitigated disaster. The Pens jumped all over Thomas from the first whistle scoring 3 goals in the first. It was ooglay. I was ready to rage every time the Penguins touched the puck out of sheer frustration. Normally, I have no issues with the Penguins. While they are not my favorite team, I respect them and like alot of their players but yesterday, I want to kick all of them in the shins. Bruins managed to stauch the bleeding somewhat at the beginning of the 2nd period by pulling Thomas and putting in Marty Turco. TURCO TIME, YA’LL! Turco played well in his first NHL game in over a year and no one threw smelly fish at him. He only allowed 2 goals (if that can be considered a postitive) and made some great saves, including this gem on JStaal. Poke Check. Stack the pads. I don’t know how it could get any worse for the Bruins but if they hope to have any chance to make a run for defending their Stanley Cup, they need to do something. Call Mike Green. I’m sure he has some extra lying about. 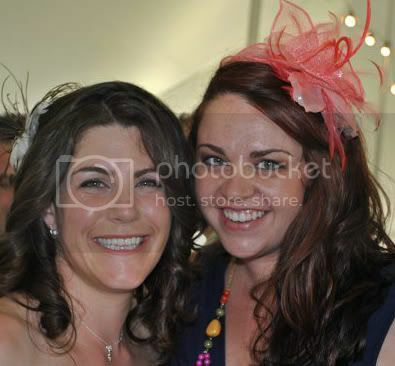 I simply have to vent this and get it off my, ah, proverbial chest ladies. As the resident Ovi fan and Captials fan, I know this will come as shock, but I AM SO MAD AT HIM, at them, at the WORLD and have been for some time and I just have to say and get it out. I say this with as a fan of Alexander Ovechkin, first and foremost, and then of hockey. When you fired Bruce Boudreau, a little piece of me died because no matter how the mainstream media spun it, we all know that it was because of player issues – e.g. Ovechkin. Boudreau is a great coach. He will probably be the best coach you will ever have. He was not the problem. We all know “What the problem is with the Washington Capitals.” The real question is what is going to be done about it? For five years I’ve watched Ovechkin go from a great player to a player with a great attitude. It pains me to say that but having been an athlete myself on a team, and a captain as well; you have to lead by example. I had hoped Mr. Leonsis would have bucked the system and shook things up by NOT firing Boudreau, showing some loyalty, having some balls, and fixing the real problem. If he had, his team may have actually had a shot at the play-offs. Sometimes the Alpha dog needs a good swat to the nutsack to get back in line and lead the pack. But as it stands, the fans have watched Boudreau excel in Anaheim, their beloved team implode under the tutelage of Dale Hunter’s mess and Ovi still stands around on defense, stands around on offense, waits for his teammates to pass the puck to him and still misses it when they do. His attitude that he has to do it all has got to stop because guess what? He can’t, he certainly doesn’t and there are guys out there who can and are doing it better now. He still has time on his contract where he can be traded. Perhaps before you fired Boudreau you should have used that bargaining chip to get your Alpha dog back in line. Now he’s the Rick Nash of the East Coast. No one will want that bad golden apple, no matter how good it might taste. He’s still too costly, you don’t know how he’ll perform and there still might be a worm in there somewhere. It’s not an imponderable conundrum. It’s just a conundrum. 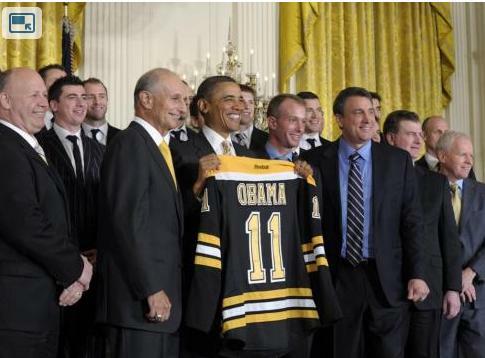 This afternoon, the Boston Bruins were honored by President Obama at the White House for winning the 2011 Stanley Cup. Wait...When did we trade Gregory Campbell? The President spoke for a bit, chided the city of Boston for having too many championship teams, called out Brad Marchand (“Little Ball of Hate? What’s up with that nickname?”), and posed with the team for the obligatory photo shoot. Watch the full video [here]. While Thomas is absolutely entitled to his beliefs and can choose do to what he wants (this is a free country, after all), wouldn’t you want to go just to share the experience with your teammates…and steal pens and hand towels from White House? Eh, whatever. I’m over it. As long as Timmy keeps making saves and playing like a boss, I don’t really care whether or not he likes the President.